AN INTERSTATE trip is on the cards for speedy pacer My Alpha Rock. 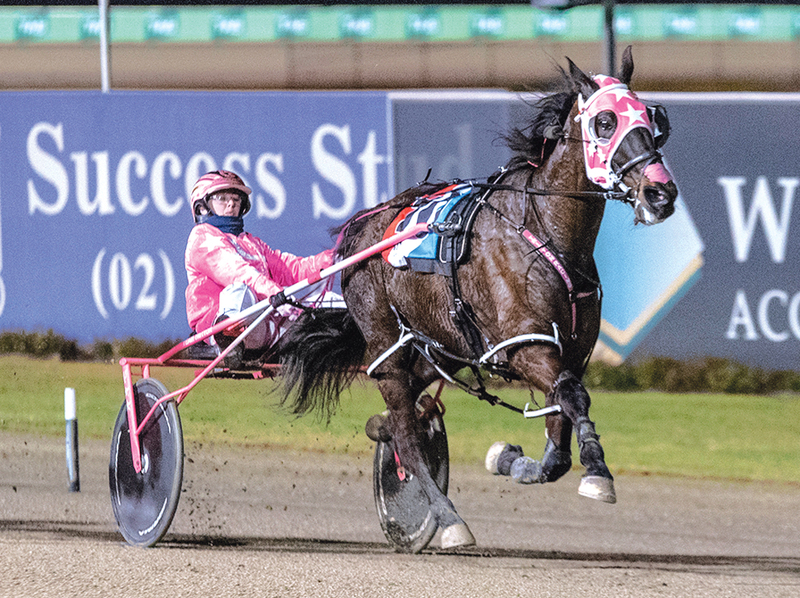 Racing in impressive form – including an “arrogant” win at Tabcorp Park Menangle last night – My Alpha Rock has been aimed at next month’s Victoria Cup. The opening leg of the Grand Circuit, the Cup is scheduled to be run in Melton on October 13. Co-trainer Shane Tritton revealed his plans to tackle the Group One, which doubles as a test for the Melbourne Inter Dominion in December. “He’s just getting better all the time,” Tritton said. “His confidence is right up and he is starting to believe he is good enough. “Last night was arrogant in the way he went about it and Lauren (Tritton, driver) said he felt super. “We have definitely set out the Victoria Cup with him, so now we will just focus on getting him in that. Caught three-wide early from the outside of the front row, My Alpha Rock was pushed forward to find the lead as the early pacemaker, Shannonsablast, was eased to take a trail. Striding clear during the latter stages, the son of Rock N Roll Heaven covered the mile in 1:49.5 to score from Shannonsablast and Power Of Red. “It was another top run from him,” Tritton said. “He just ran his own race and got to the line well. “Everything he has been doing since having a freshen up has been spot on and suggests he can match it at the highest level. Potential superstar among the outsiders!